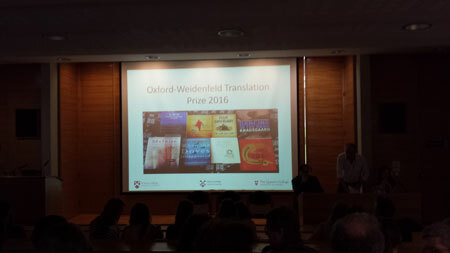 Paul Vincent & John Irons joint winners of the Oxford-Weidenfeld Translation Prize! 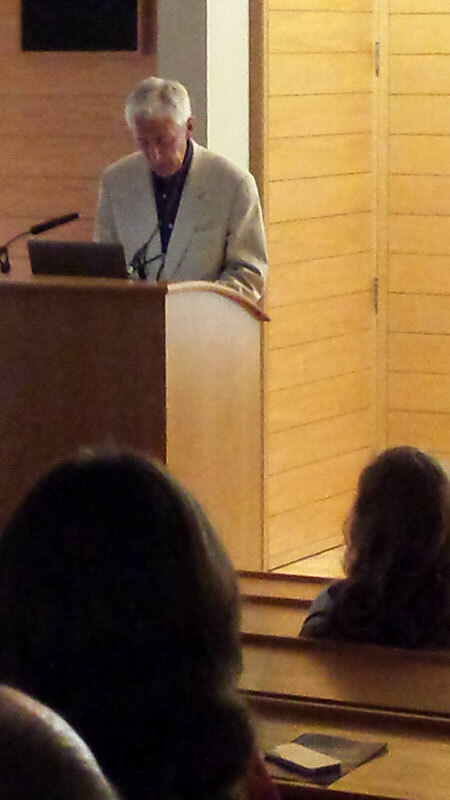 Many congratulations to Paul Vincent and John Irons for this well deserved prize. They not only provided the wonderful translations but also selected the poems to create this necessary overview of poetry from the Netherlands and Flanders. Here are a few pictures of the awards ceremony on June 11. 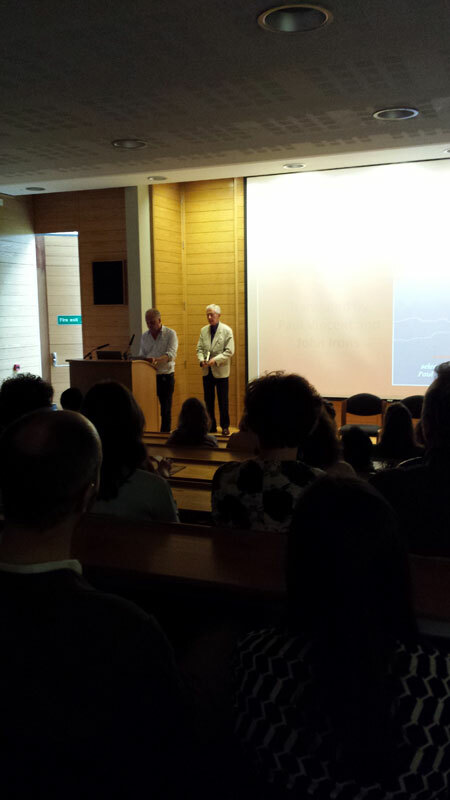 It was the closing event of the Oxford Translation Day, organised by OCCT in St Anne’s College Oxford. This treasury of Dutch and Flemish poems (parallel texts of originals and translations) brings together single works of poets ranging from the 11th century to the 21st. It is a rich anthology, based on the two translators’ personal preferences, but also managing to represent something like a canon of important works judged by criteria clearly explained in the translators’ preface. 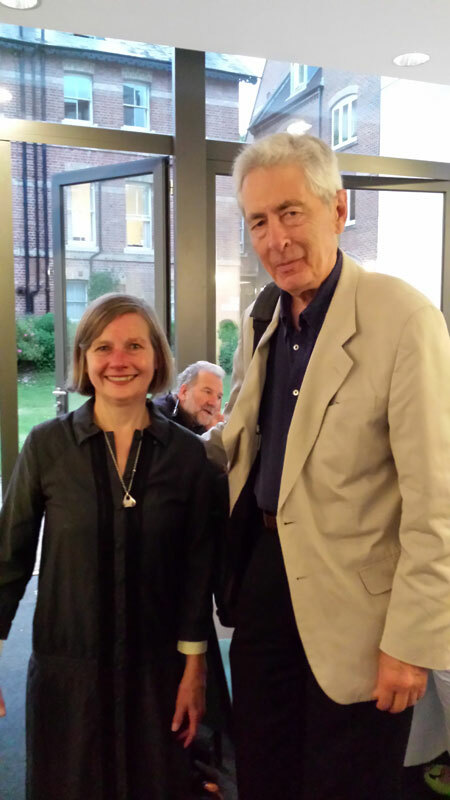 The judges are commending not only the quality of the translations but the selection itself of poets and poems, and the composition of a whole that is even more than the sum of its parts. There is to our knowledge no comparably wide-ranging collection available to English readers, and although inevitably some omissions will be felt, many of the most influential poets are indeed here, powerfully introduced in these new English versions. We believe that the book will be a uniquely valuable source for teachers and students, but we are impressed above all by the inventiveness, the variety, and often the sheer beauty of these English works, through which the Dutch poetic voices speak and sing to us.